How To Avoid Traffic Drop During Website Redesign? You are here: Home / Tips / How To Avoid Traffic Drop During Website Redesign? Your website showcases your business face to the online world. 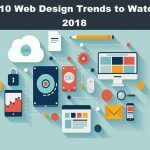 If today, your website is ranked by the search engine on the top then tomorrow, you may not see the same ranking, if you neglect website redesigning. Change is the necessity of the day. People are busy and short-tempered. They don’t want to see the same things again and again. 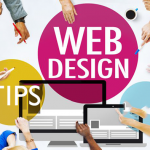 To maintain your ranking and avoid traffic drop to your site, website redesigning is important. 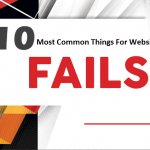 But what if, your web traffic is dropping during web redesigning only? Well, we are here with some solutions for you. How can you Avoid Traffic Drop During Website Redesigning? 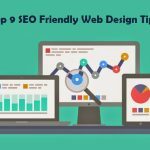 If your website design is not optimized as per the SEO then you need to hire an SEO expert for web redesigning who can optimize your website for the SEO. An SEO can better identify the loopholes of your website and help you to redesign it in a better way. You have already laid the foundation stone for your website. Now you have the content, tools, and other methodologies. All you need is to rework. Redesign your site in such a way that can showcase your same content in an attractive way. Instead of using lengthy paragraphs, use blocks of content to create an organized structure of your website. Website redesigning can help you to fix the errors of your previous design and target more visitors after redesigning. If you have changed the overall architecture of your site then do not forget to insert 301 redirects. One of the major reasons for the traffic drop is the loss of valuable links from your previous pages. You might have done the best job this time but human errors and activities can always bring loss during a website redesign. Even simple change in design should be reflected in 301 redirects. Make sure you create a backup of your previous site. Before website redesigning and re-launching, upload the content and the structure of the previous website design to the backend. A site map is a thing that would help the search engine to crawl through the web pages effectively. 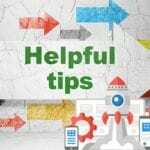 Once you are done with the above-mentioned steps, do not neglect the power of Google Analytics Tracking code.If you miss the tracking code then you are likely to miss the valuable data from your site. There are so many web designing agencies that have handled website resigning projects of their clients. If you are really looking for a solution to traffic drop or want to avoid traffic drop during website redesigning then try to work on the above-said areas to improve or stop the web traffic drop.